"Podiatry Ultrasound is the single most important diagnostic tool you are probably missing in your practice today." Podiatry ultrasound is our foremost specialization, and getting doctors started — quickly, successfully, profitably — is what we do. And here's why: because we want you to give the best care to your patients, we want you to succeed in a big way, and we want you to look great to your patients, inspiring more and more referrals to your practice. 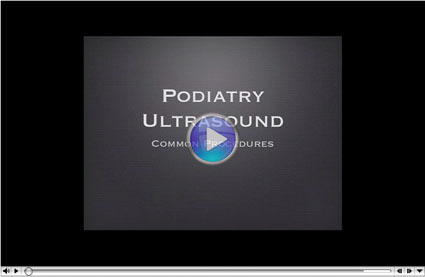 We have spent the past five years focusing 90% of our efforts in the ultrasound arena on working with podiatrists, and as a result, we have put together the most complete podiatry ultrasound package in the United States — so you can succeed. 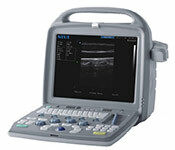 Our musculoskeletal ultrasound systems are ideally suited to foot and ankle ultrasound. We have been refining the algorithms, software, and custom configurations specifically for podiatry ultrasound exams and procedures, and in working with hundreds of podiatrists we have refined the ideal work flow as well, making this one of the easiest (and fastest) systems to work on. What's more, our systems boast a 50mm multi-frequency 5-10 MHz linear probe, a full centimeter and a half longer than the competing systems (and for accurate plantar fascia and Achilles images, you really need 50mm). We also have the ideal cineloop duration (competing models have only 128-frame cineloops, but ours boasts an ideal 256-frame cineloop, giving you a full 10 seconds to back up after pressing "Freeze" — which is extremely valuable, particularly during guided-injection procedures). These two features alone are enough to make our systems the first choice for podiatry ultrasound procedures. Our podiatry ultrasound supply and accessory package includes everything you are going to need to make the most of ultrasound in your practice. We include all of this for free, even the rather expensive but absolutely vital custom stand-off probe attachment so valuable in capturing the best tendon and ankle images. You get that for free as well. And what most sets us apart would be our exclusive podiatry ultrasound training and support package, which includes everything you are going to need in order to master the use of ultrasound — even if you have never touched one before! Indeed, during our current promotion, you will even receive a free lifetime"Gold-level" membership to our exclusive podiatry ultrasound training resource site, filled with instruction, annotated images, videos, audio files, sample reports, and more. We've got you covered! FREE Lifetime GOLD Membership to our new Podiatry Ultrasound Training Resource Site. It is going to enable you to make critical distinctions that will enable you to make more accurate diagnoses and prescribe more accurate treatments for your patients. It is going to make you look great in the eyes of your patients, leading to more referrals. It is going to generate a substantial new profit stream for your practice. You will be trained in the most efficient work flow, making you fast and efficient. You will learn how to handle all of the standard procedures and applications, and learn to make the critical distinctions behind each of these, enabling you to give the very best care to your patients. Your assistants will be trained to best support you, and your billing staff will know precisely how to ensure that your insurance billing is bullet-proof. The average Medicare reimbursement for a podiatry ultrasound exam is $95. We generally see private insurance averaging between $105 and $125. The average Medicare reimbursement for an ultrasound-guided injection is $150. We often see private carriers cover as high as $175. When you consider that an ultrasound exam (with our training and work flow) should only take you about 2 minutes, that means the ultrasound operates at about $4,500/hour. 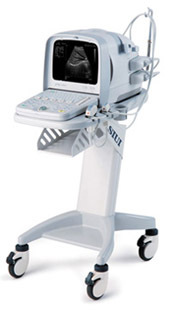 You won't be using it non-stop for hours on end, of course, but even if you only used the ultrasound two or three times a day, you are looking at generating over $65,000 a year. Either fill in the one-line inquiry form below to see our current promotion, or even better, give us a call at 800-839-0722 and we can answer any questions you have and explain more about the value of adding an ultrasound to your practice. And keep in mind: we even have low monthly financing available, making getting started extremely simple and easy (and therefore instantly profitable from day one). Let's get you started. Within a week you could have the best system for foot and ankle ultrasound, at the best price, with the very best podiatry package available anywhere — in your practice, helping you with your patients, and generating an excellent new source of profits. This promotion, with all of these extras, isn't going to last long. ... some of these free bonuses aren't going to be available much longer. If you purchase during this promotion, your Gold-Level Membership to the training resource site is going to be a lifetime membership. Also, the phone training session isn't going to be be available much longer, and the physical copies of the DVD and CDs are going to be removed from our package within a month or two. But you get all of this if you act quick. So call 800-839-0722. Let's get you started. Let's turn you into our next $80,000/year ultrasound success story!